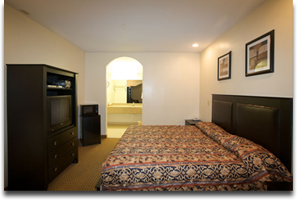 Lavish in our contempory comfort and spacious, well-appointed guest suites that cater to the most business and leisure travelers to the Houston/Stafford Area. Enjoy an array of modern amenities and peaceful enivornment that add up to a memorable and satisfying lodging experience. 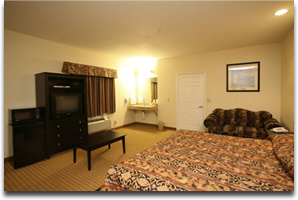 Our lifestyle-enriching accommodations feature a king-size bed or two double beds, modern furnishings, multiple telephones, refrigerators, microwaves, hair dryers,High Speed Internet, and plenty of space to ensure a relaxing and restful stay.